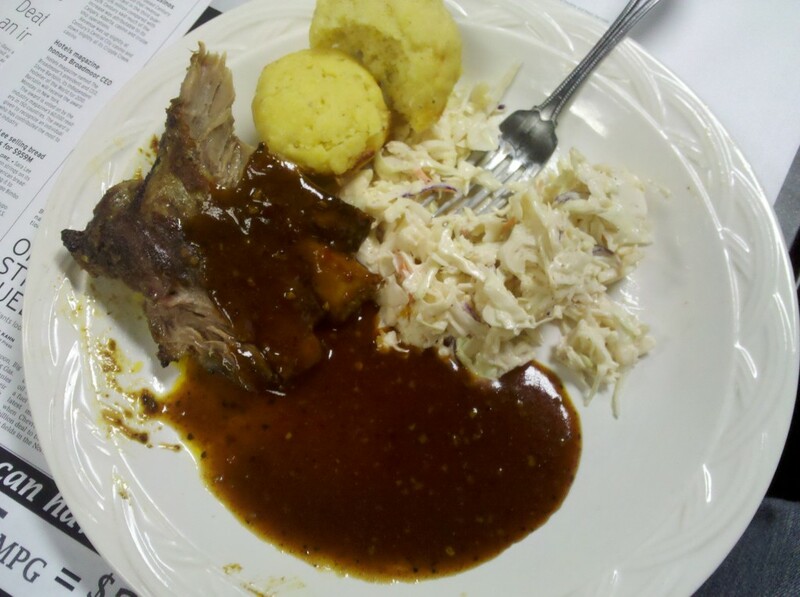 Some ribs, cornbread, and cole slaw from Front Range Barbeque — courtesy of coworker Christian Murdock. Thanks, Christian! Next time we’re out, beer’s on me. Coworker Christian Murdock brought in some fantastic food. We never eat this good at work. Awesome. UPDATE: My keyboard is slathered in barbecue sauce. Wonder if that’s a workplace violation of some kind. A disclaimer: We happen to know a couple who work at Firehouse — Janel, a server who also does hair and makeup for Adrienne’s Pink Kitty Studios; and Pete, Janel’s current love interest. 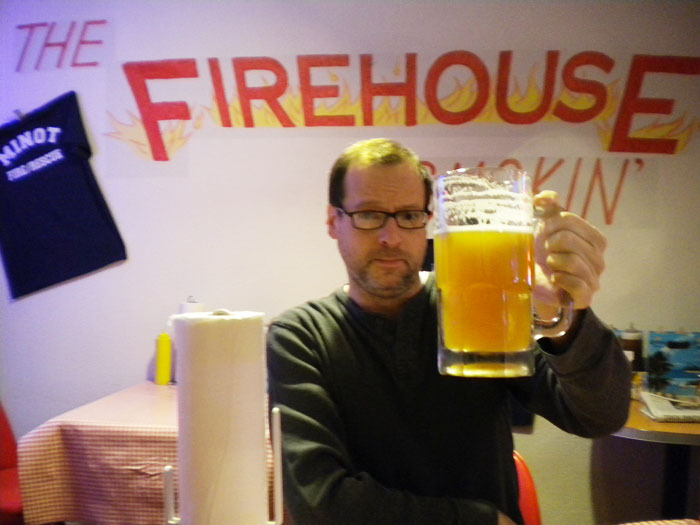 I don’t know what Pete does at Firehouse, but it’s important. Hey, Pete, what’s your title there? They did not give us free food or anything. 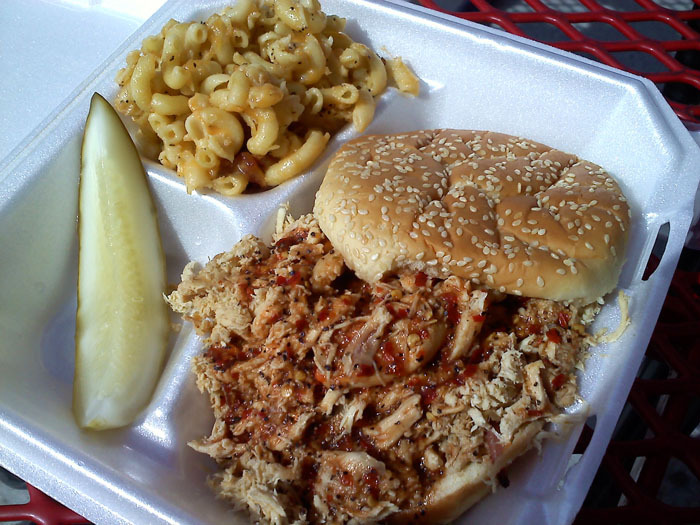 In true barbecue fashion, there’s a lot of opportunity at Firehouse for gluttony. The beer alone is served by the bucket. 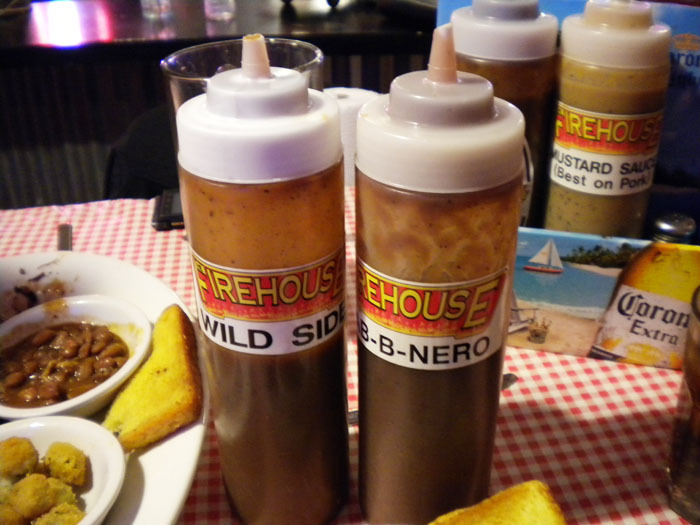 Overall, the dining at Firehouse was excellent. The chicken was a little dry, but smoked chicken, apparently, is just that way sometimes. 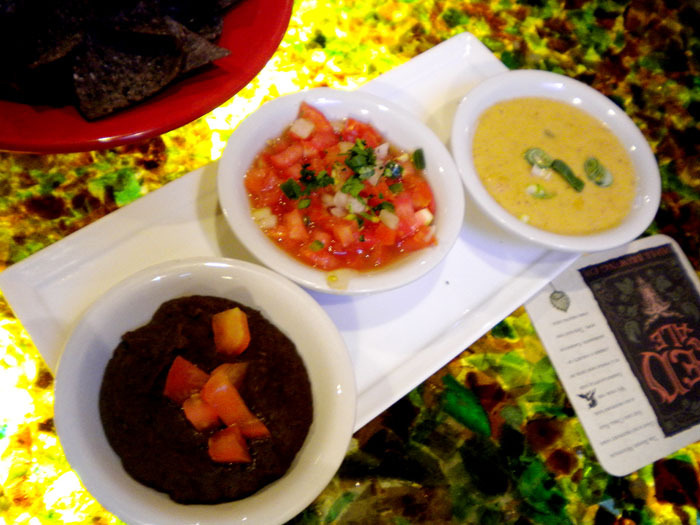 Loved the bottomless sides — I had okra (a lot of okra) and the western beans. Adrienne had the regular beans and green beans. 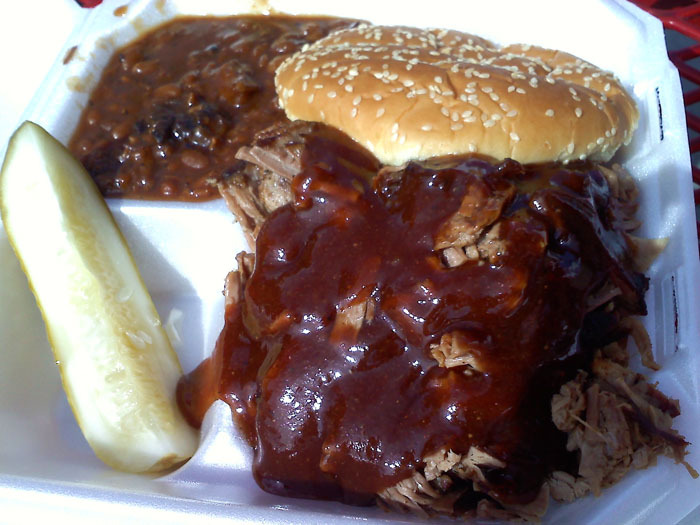 I know there are people who don’t care much for my barbecue opinions. But I’m going to tell them to you anyway. 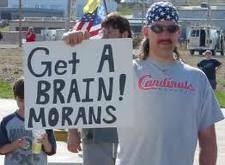 I've been called worse, certainly, but "moran" hurt. Seriously, I have very delicate feelings, people. 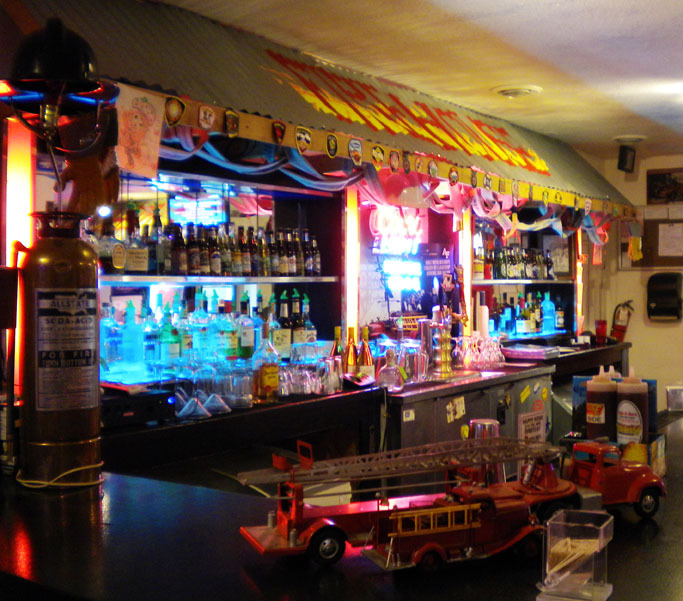 The bar at Firehouse BBQ in Old Colorado City. This beer is unreasonably large. I'm not complaining. Just pointing out that it's an enormous beer. Bristol Brewing's Beehive, I think. I was having trouble lifting it. 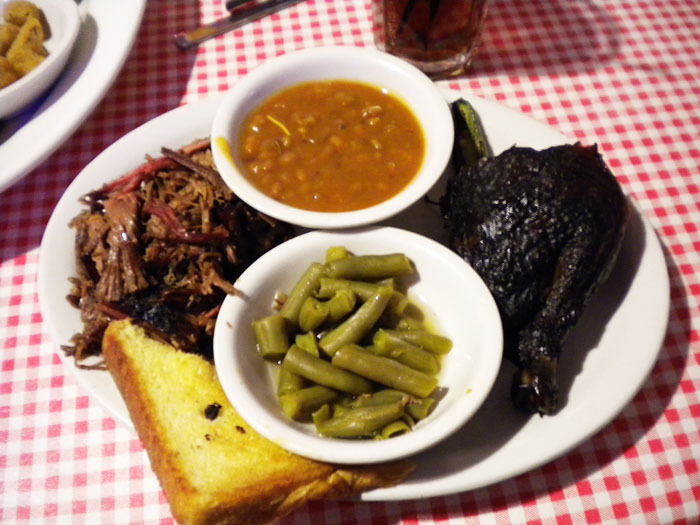 Adrienne had the brisket and chicken, with green beans and baked beans. The chicken was a little dry, but that's the way it goes sometimes with smoked chicken.The brisket was delicious and so moist and flavorful that it didn't even need any sauce, Adrienne says. 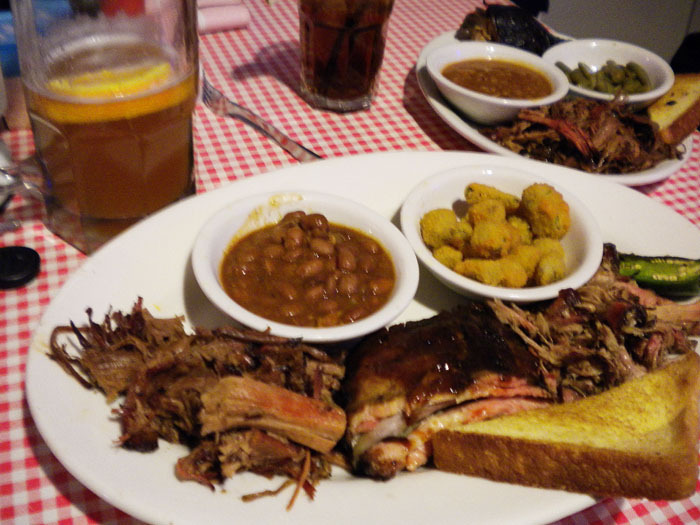 In addition to my 40-gallon drum of beer, I also had brisket, pulled pork, and ribs. 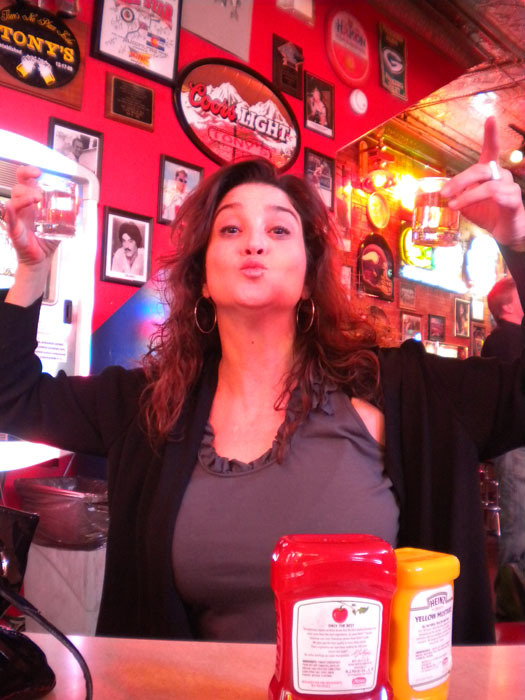 I also enjoyed the jalapeno pepper that came as a garnish. Nice touch, Firehouse. 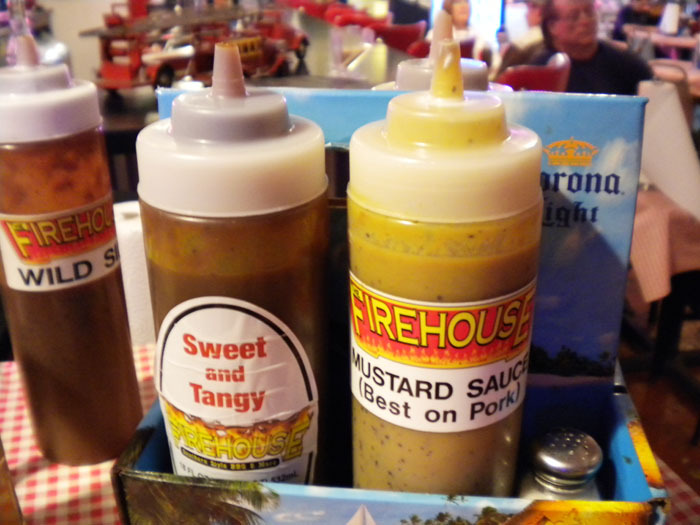 The sauce selection at Firehouse is nice and varied. I liked the Wild Side best. No idea about high-fructose corn syrup. I fear I may be losing my battle against HFCS. I also really liked the B-B-Nero sauce. Spicy. Dessert? Oh, sure. Why not. 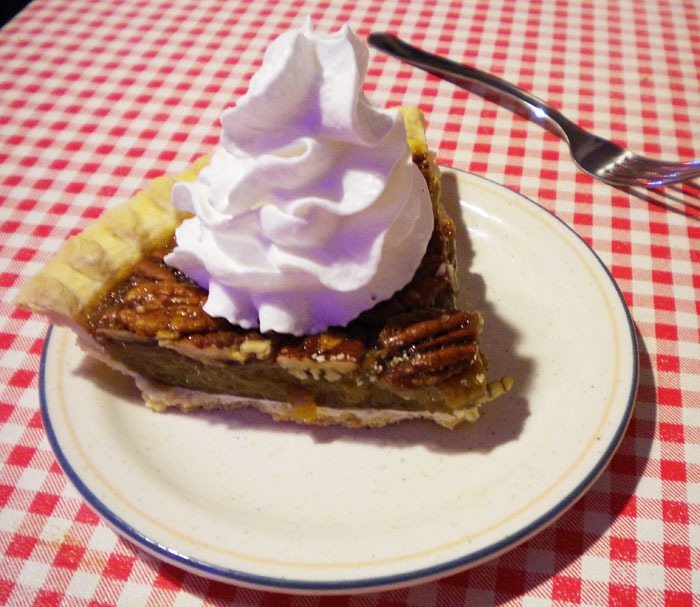 The pecan pie was fabulous. Ask for Janel. She'll make sure your Firehouse experience is good. 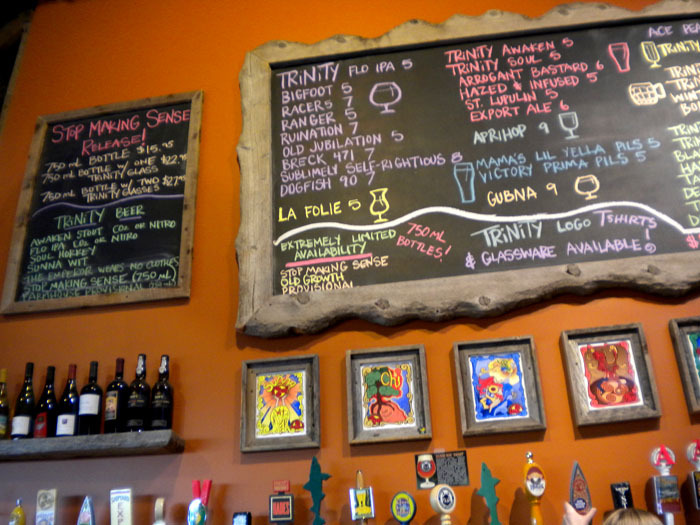 Colorado, in general, and Colorado Springs specifically is home to some pretty good beer. 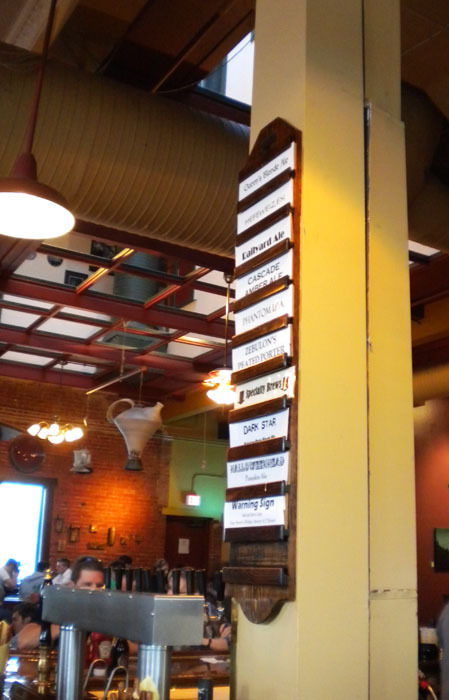 The Indy has a list of the area’s breweries. Lately, though, I’m really enjoying the local brews. My favorite daily drinker has been Beehive, from Bristol. I’m also a fan of their Laughing Lab flagship beer (I was sad when I learned that the inspiration Lab had died). There’s more about beer here than I could possibly write, and there’s so many tasty ones I’ve had in the last few months that the only advice I can give you is to go ahead and get a second job so you can afford to try everything without going broke and eating out of dumpsters (Burger King has excellent “throwaway” items, by the way). 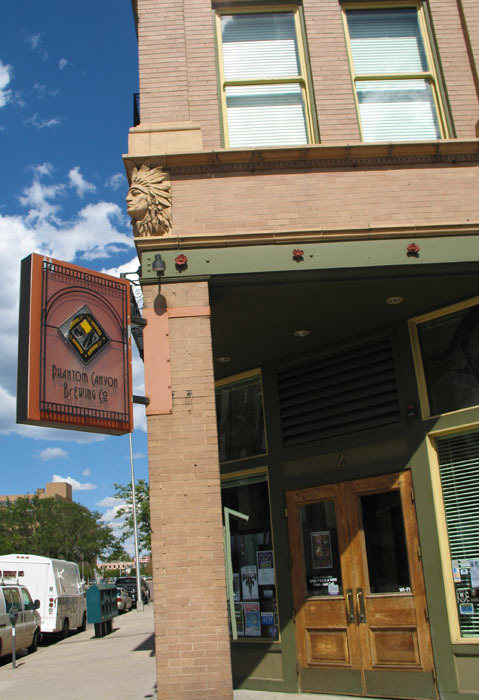 Phantom Canyon is a favorite because it's close to home and has great food. And you can play pool upstairs. 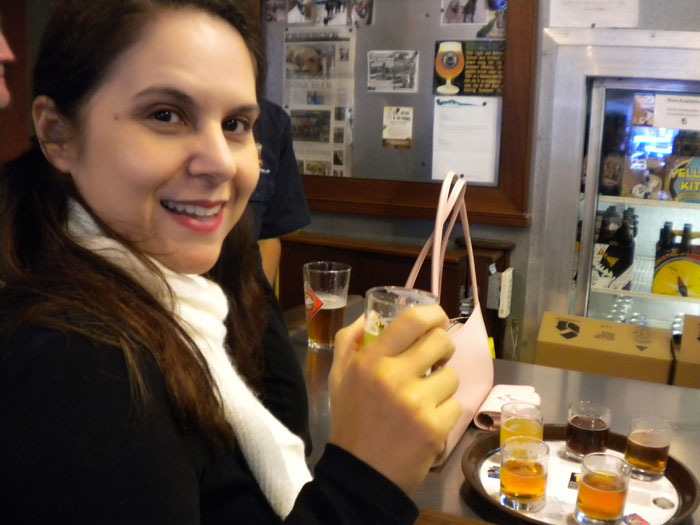 Sampling a selection on a flight at Phantom Canyon. 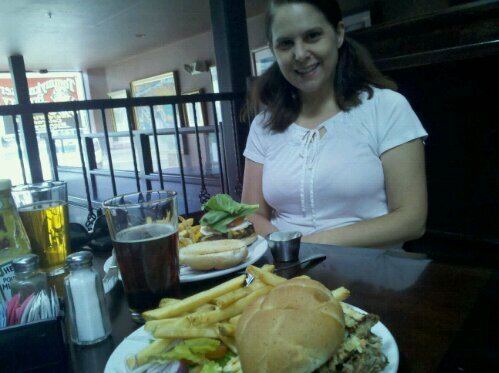 Phantom Canyon has excellent food. 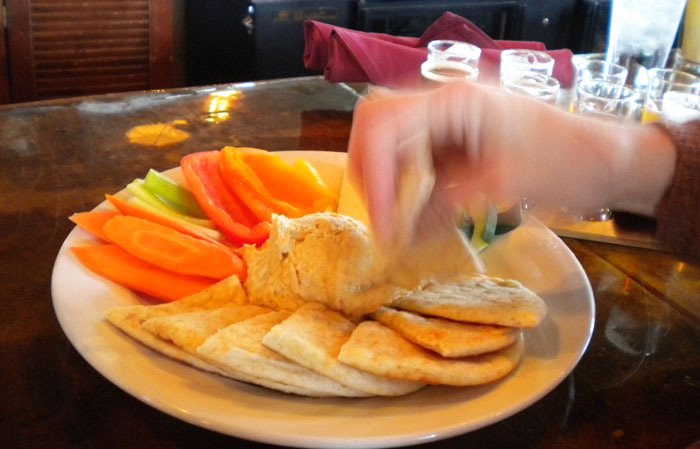 Here, we're eating the hummus plate. 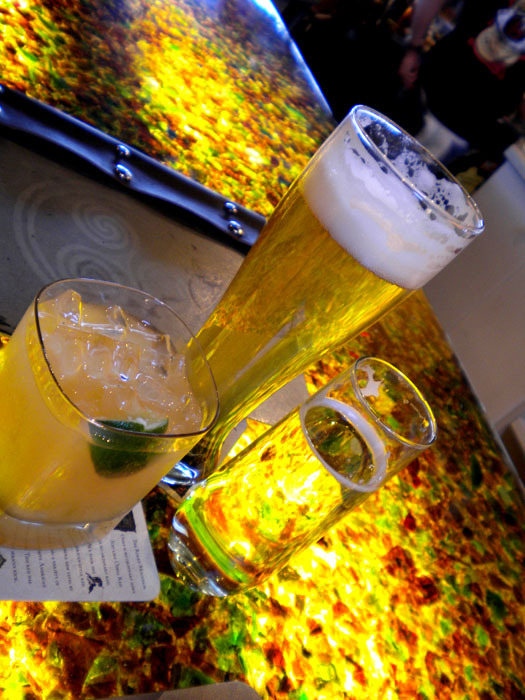 At the bar, Phantom Canyon has a prominent list of the available beers. 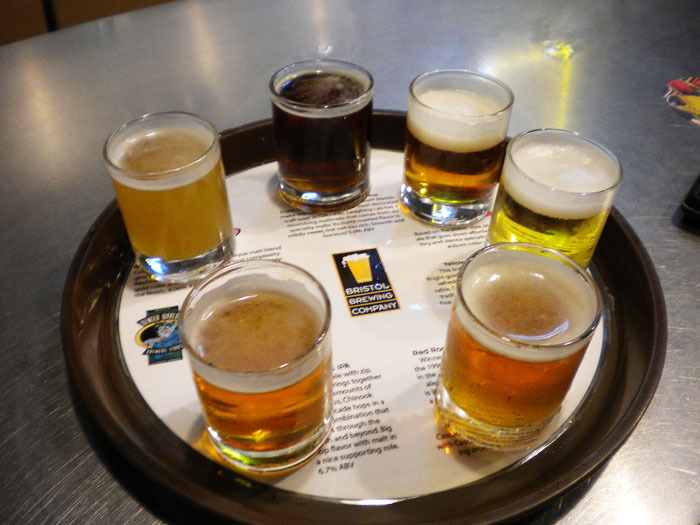 A flight of nine beers at Phantom Canyon. I'm not much of a dark drinker, but the Dark Side was awfully tasty. Adrienne likes the hefeweizen. 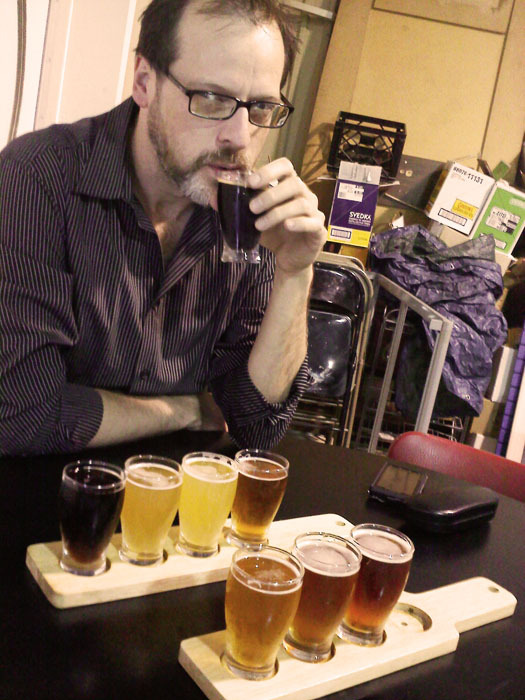 Trying a six-beer flight at Bristol. It's helpful that each beer on the flight at Bristol comes with a little explainer paragraph. I don't know a lot about beer, and it's good to at least try to be educated. 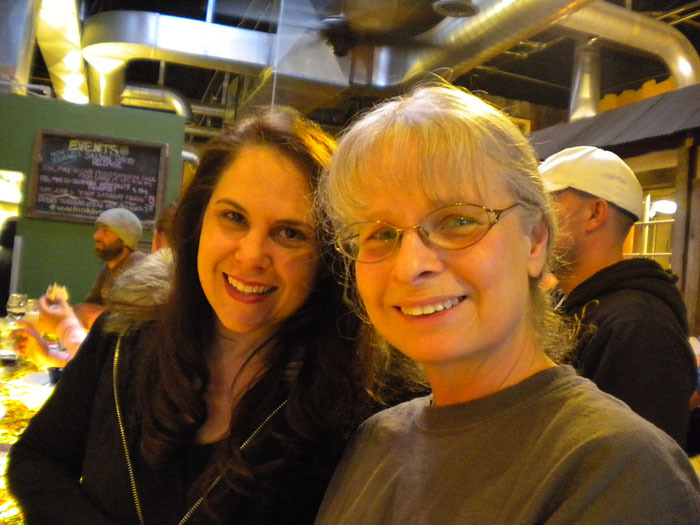 Adrienne and my mom at Trinity. My mom doesn't even drink beer. Won't even try it. I'm not entirely convinced we're related. 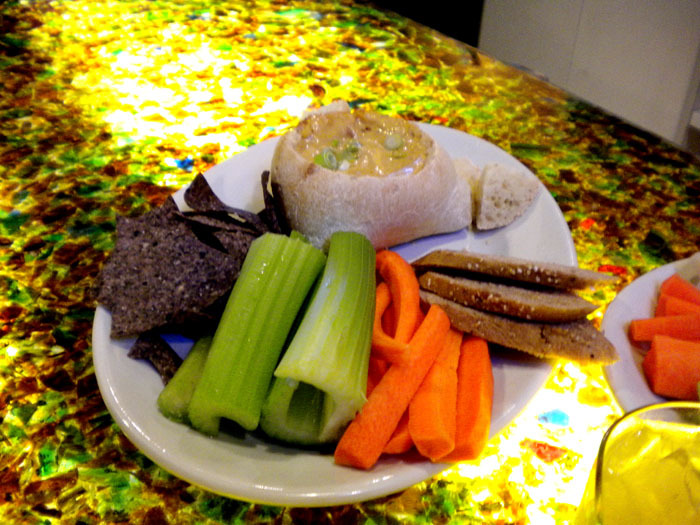 Appetizers at Trinity. Notice the table, which is made from broken glass and lighted from beneath. Very cool. 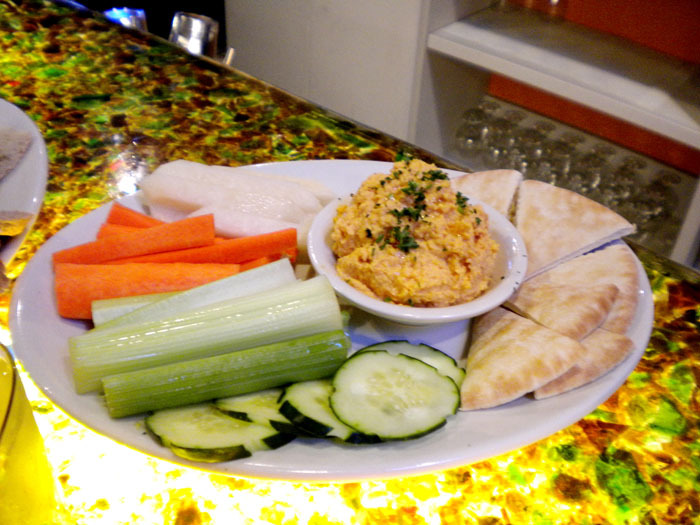 The hummus plate at Trinity. My mom had some kind of warm cheese dip in an edible bread bowl. The drink selection at Trinity is pretty healthy. 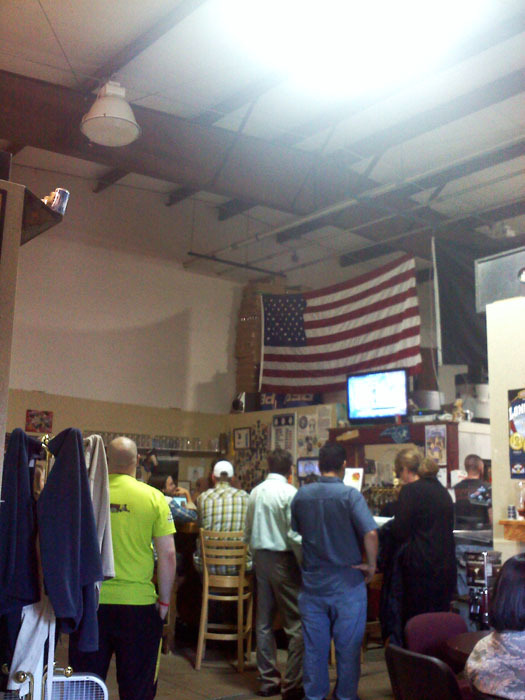 And the people behind the bar seemed to really enjoy talking about beer, which helps the uninformed like me. At the bar at Trinity. 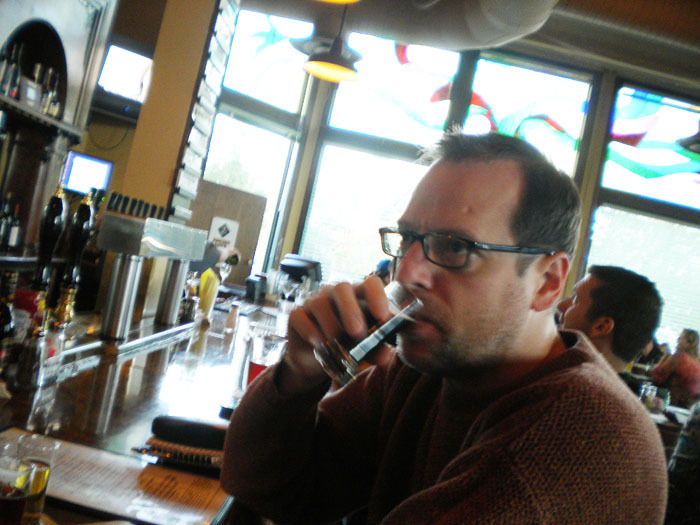 Didn't care too much for Rocky Mountain Brewery. Felt like an outsider there. And it felt a little too much like someone's basement. Also, their website is a MySpace page. No good. 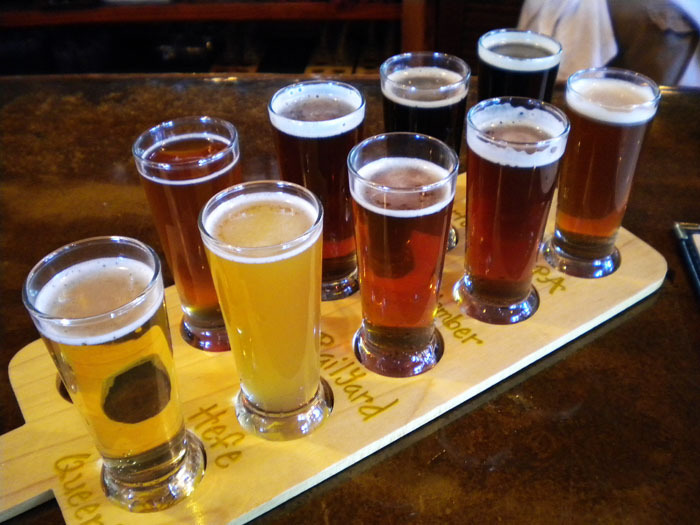 An eight-beer flight at Rocky Mountain Brewery. 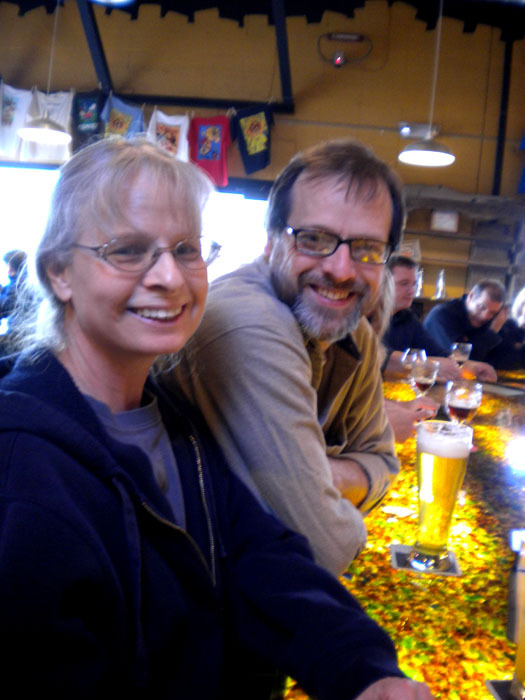 We had a hard time knowing what we were drinking because the beers were written down on a small chalkboard behind the crowded counter. 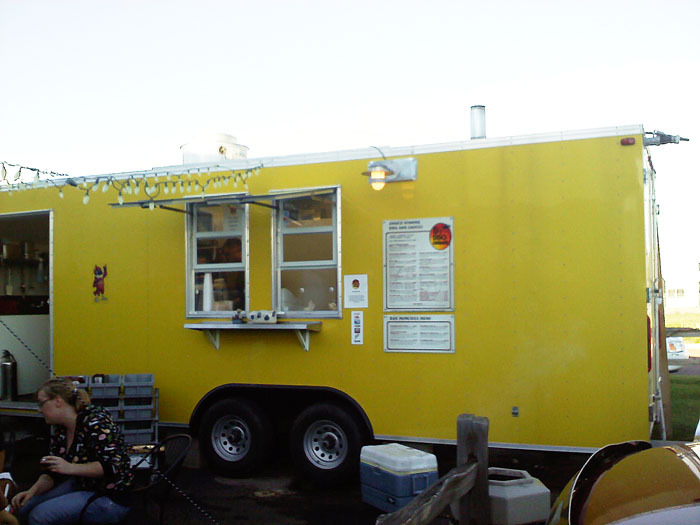 On the plus side, Rocky Mountain Brewery has a barbecue truck parked outside, B'z BBQ. 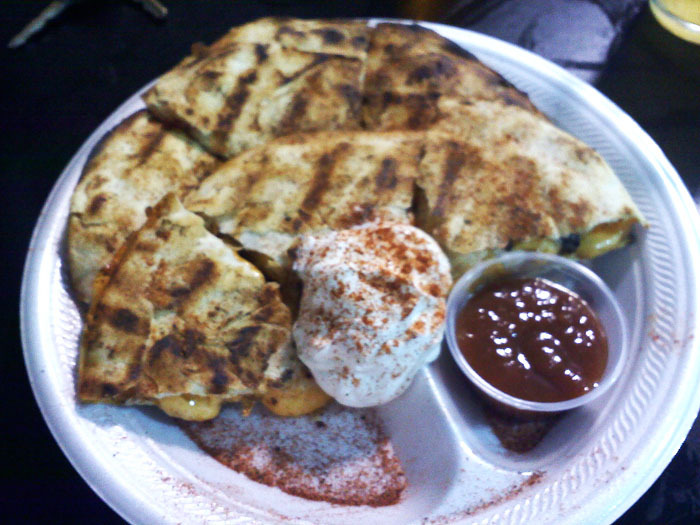 The best part about Rocky Mountain Brewery: The barbecue truck's quesadilla. Delicious.